If you need any more information on the errors lets me know. I also have a question, would it be possible that instead of the key/click bindigs beeing set by you, fx Alt - Left and Alt - Right for Curing that it was possible to set that up? Fx I would prefer to use shitf - Left and Shift - Right for curing etc, since I use Alt for other combo's. Would that be possible ? Also I wanted to say that I love your addon in the first releases where I could use it. Beeing used to the RDX unitframes with the supported click casting this addon is a god send. Also the coloring of people when they get debuffed is just what I was looking for! Please open the options and reset the defaults. This should cure most/all the errors your getting. This is due to a change in b7 with saving class specific data for buff watching. I deleted the savedveriables files and that fixed the problems Ive been having, so thanks alot for that tip. What about my question regarding the keybindings, is that something you might implement? Have been thinking about your request and it does make sense. 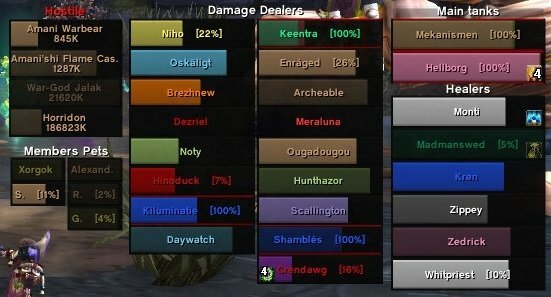 Considering having debuff options the same as buffs where the spell can be manually entered. Then the spell would need to be set on the spells tab and this means the Alt+Click can be another option on the spells tabs allowing people to setup the spells as they wish. I just downloaded the latest beta (14), and now Im a bit confused with the new setup you made. In the "Cure" tab, you can select which spells to debuff, where my priest can select Cure Disease, Abolish Disease, Dispell Magic(Rank 1), and Dispell Magic (Rank 2). Where can I define bindings for this? Do I do this over under the "Spells" Tab? If so, when then the diffrent ranks under the "Cure" tab, why not just have options like "Diseases" and "Magic Effects", since you have to choose the spells in the other tab? Also in regards to the new "Cure" tab, the "check members", if I set that to "on raid", will that also check my party if im not in a raid? Because if not will I then need to change it from when I do 5 man instances, to when I do 15 or 25 man instances? If so that seems a bit annoying compared to the old system. I can see that some people might want to be able to filter, but is there still an option if you just want to check everyone all the time? In the "Cure" tab, you can select which spells to debuff, where my priest can select Cure Disease, Abolish Disease, Dispell Magic(Rank 1), and Dispell Magic (Rank 2). Where can I define bindings for this? Do I do this over under the "Spells" Tab? This is for the SmartCast but I will remove the (Rank n) and Abolish Disease seeing as it is confusing. Last edited by Strife[CUK] : 11-20-06 at 06:37 AM. 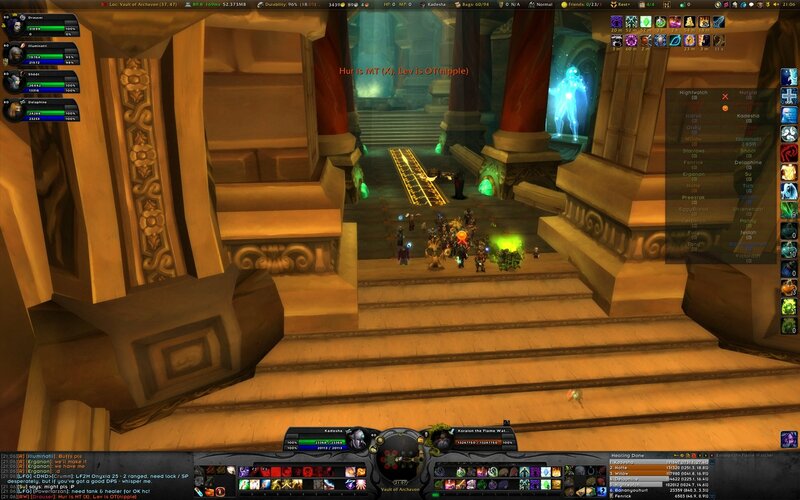 Also one thing that has been a small annoynce when using the addon, is there some way that it could be possible to turn on/off that when you click on someone in combat with like standard Left click that it could also target that person? For example I have Renew setup as standard right click, someones I do a renew and then a shield (I have shield bound for Shift - Right click), but I also have Power Word Shield assigned to my "1" key, and then if I could do Right mouse click and then press 1 afterwards because it also target the player, then that would be less presses to do the action. I have thought about this but group spells by type and finding ranks etc, it is a lot of time to make those changes when it only takes a few seconds to type in the spell. You can type Target into any combo. This happens at all different times. I'm using the latest version, as well as ag_unitframes, and assorted other mods. Should be fixed in b15 which I am currently testing, for now please try reseting the defaults. Is there a way to select between using Paladin regular blessings and the greater blessings ? For monitoring buffs, you only need to monitor the regular blessing, greater blessings are counted as the same. For casting regular or greater blessings, simply set this on the spells tab. Fair enough, I have put up a quick guide which will also be in the readme.txt from b18. Hope it helps and if you have any questions, just ask. Last edited by Strife[CUK] : 11-25-06 at 06:50 PM. 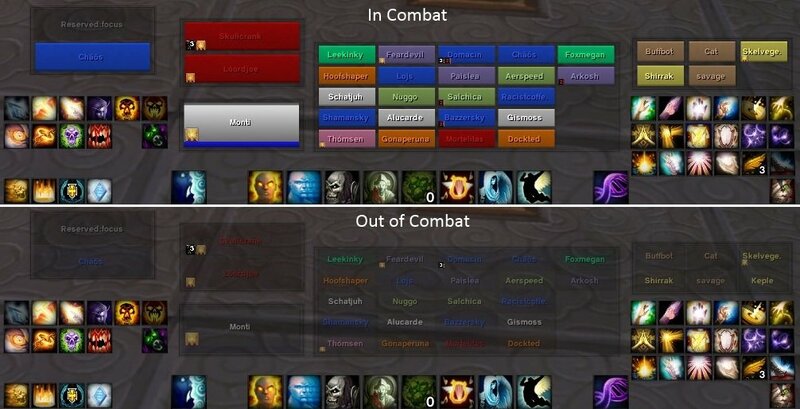 First of all thank you very much for giving us healers something that will make our life in WoW 2.01 easier. 1. It would be nice to have an option that lets you arrange the groups vertically instead of horizontally. 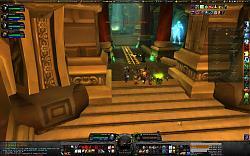 I'm using HealBot as an CTRA replacement atm (unwounded targets enabled). Having the groups arranged vertically on the right side would save a lot of screen space. 2. Would it be possible to have a separate "decursing" window where different key assignments are active? E.g. in the "decursing window" left mouse button is 'Decurse' / right mouse button 'Cure Poison', in the normal "healing window" left mouse button is 'Healing Touch' / right mouse button 'Rejuvenation'. This could cut down keyboard work quite a bit. Sorry if I have missed something in the setup and thanks again for this nice mod.